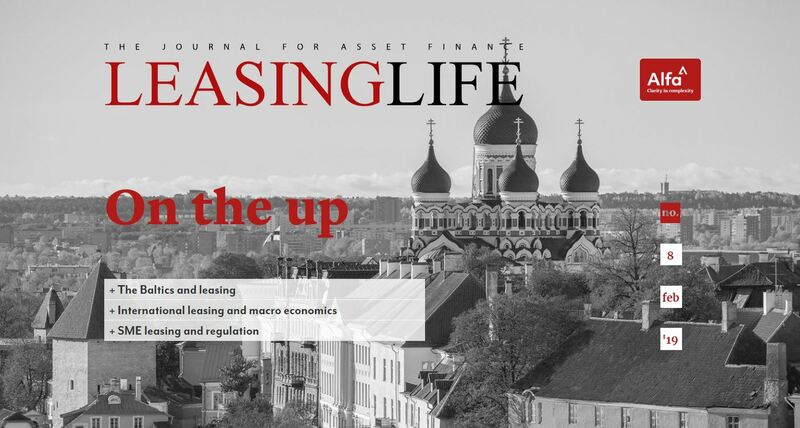 SGEF CEO Jochen Jehmlich discusses European asset finance trends. Societe Generale Equipment Finance is one of the biggest asset finance and leasing operations in the UK and Europe. What is your state of the market overview for 2018? Positive signs suggest economic growth is recovering on a more solid basis in Europe. This favourable economic environment is leading to volume growth in the leasing market as companies increase their investments. Nevertheless, margins remain under pressure in a low-interest rate environment and in an over-liquid market. 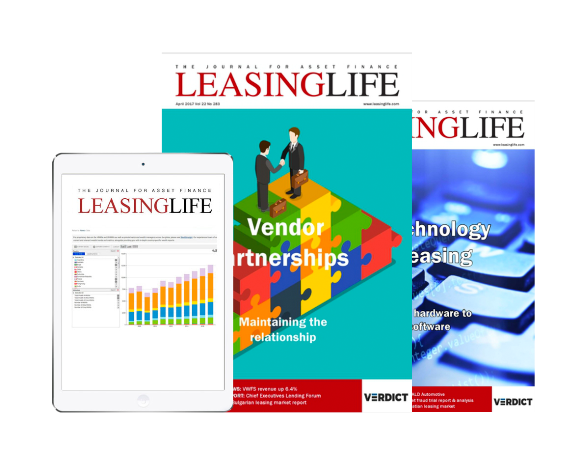 On the other side, and compensating this trend, leasing companies are becoming more and more innovative and providing their clients with many new services in the value chain. We are assisting to a digital transformation of the financial industry, allowing companies to increase automatization and reduce processes, and to answer to customers’ increasing demand for fast and efficient services. Scandinavian countries are the most advanced in this digital transformation. 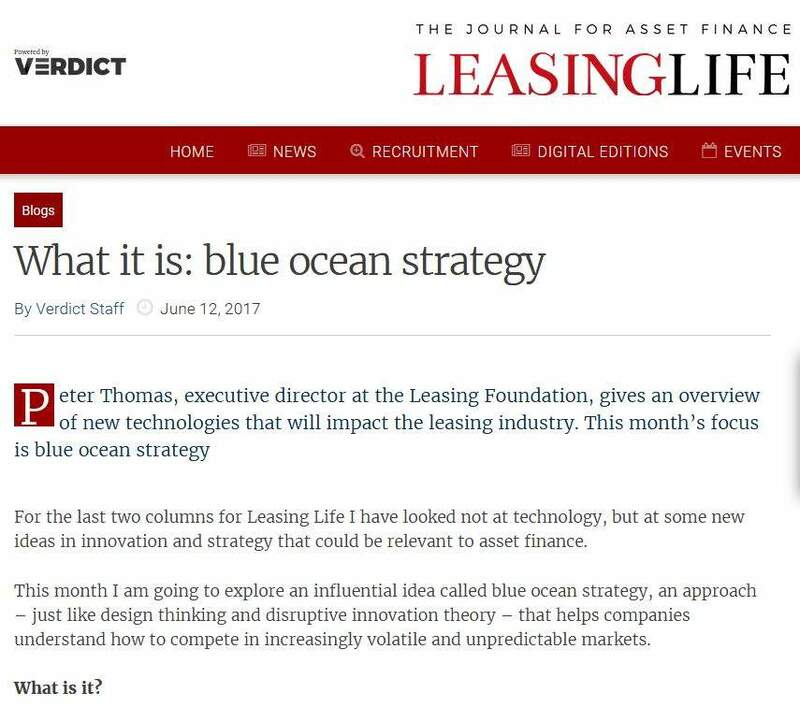 Indeed, one of the additional transformations that we are seeing is that leasing companies must adapt to a paradigm of ‘usage’ rather than ‘ownership’. This is the case in numerous sectors and most notably the medical one we are seeing that more complex business models are transforming products into services. 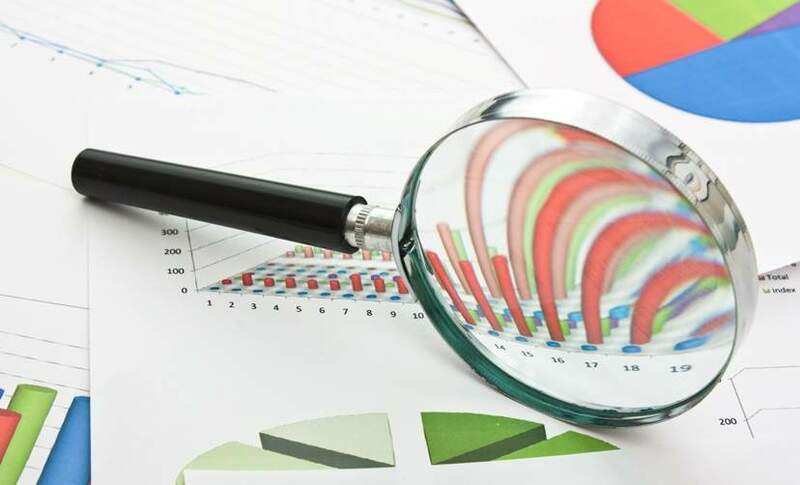 SGEF work in the Transportation, Industrial Equipment, Agriculture, Technology, Medical sectors – Which do you predict will be the growth areas over the next two or three years? We are seeing changes in the Technology sector as companies adapt to subscription models and Cloud computing. Whilst this may shorten the term of transactions it is stimulating flexible investments. In terms of sectors, the transportation industry continues to be important to SGEF with 42% of new business coming from this sector for the full year 2017. The agriculture sector continues to show strong growth opportunities for SGEF especially in Germany, Scandinavia and the UK, which initiated the activity but Poland, Switzerland and the Czech Republic are catching up. SGEF has developed a real expertise over the last ten years in this sector, both on the asset knowledge side and on the capacity to support the sales financing of Vendors and their dealer distribution channel. We are seeing a lot of new regulation in the last few years. 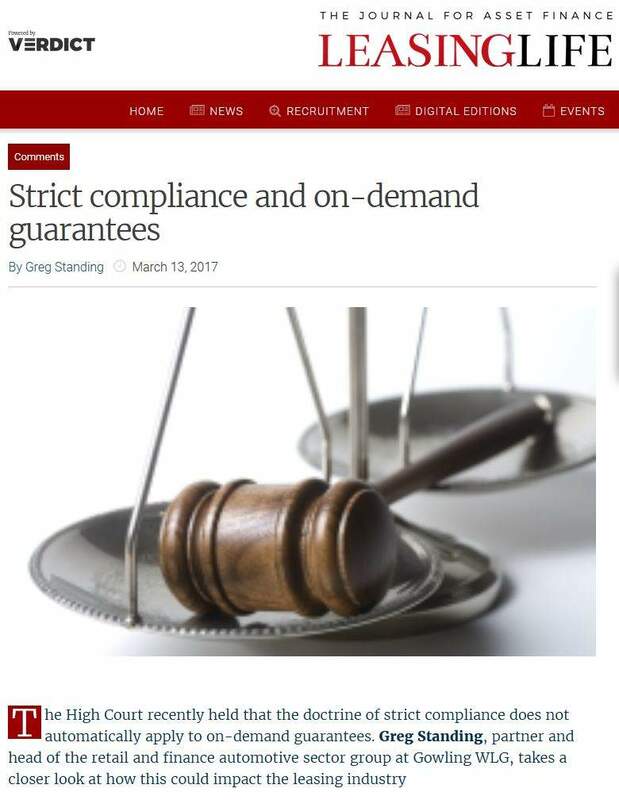 How is SGEF being impacted by these new regulations? The Global Data Protection Regulation (GDPR) which was implemented EU wide since the end of May is one of the main regulatory requirements of 2018. GDPR is leading the leasing industry to seek client consent for many of its actions. Project teams dedicated to GDPR have been put in place in all European countries where SGEF is present to implement records of processing and data consent. Data Protection Officers or Data Protection Correspondents have also been designated in all countries to ensure that SGEF is compliant. In addition, EU directives have also reinforced the need to strengthen KYC procedures among numerous banks including SGEF with the objectives of preventing money laundering and reinforcing the fight against terrorism. This has led SGEF to upgrade our procedures and industrialise our processes with the objective of protecting our reputation but also our clients. In this context, our colleagues have strengthened their compliance expertise through increased awareness and training. Market penetration for asset finance is still considered to be quite low by many commentators including Leasing Life. Where across Europe do you see the main opportunities? The equipment leasing market in Europe has demonstrated a growth of 12.9% in NBV for the full year 2017 compared to the previous year. * When we look at specific countries, opportunities continue to be especially strong in Germany and Norway. In the German market, leasing is used for more than half of all externally financed capital investment. There was a particularly strong increase in 2017 in vehicle leasing (up by 6.3% in NBV) along with the equipment segment which expanded by 4.5% in NBV. Turning towards the Scandinavian region, the Norwegian equipment leasing market saw a growth of 5% in the first quarter of 2018 compared to Q1 2017. Due to many infrastructure projects, leasing of construction machines and vehicles used in the construction industry is showing the largest growth. Most of the big asset finance lenders have moved or are moving to a fully digitised operation. Does operating at scale make this more difficult? What are the biggest challenges you face with digital? Over the last few years, SGEF has heavily invested in its digital transformation. We take advantage of new solutions and technologies to constantly improve our client offer. As a provider of small ticket solutions in several countries, processes have been automated for some years now. These digital processes bring further efficiencies to our operating model. One issue we face with digitalizing all our processes is that sometimes clients continue to appreciate ‘face-to-face’ and that we must seek to be able to offer them both digitalized and local presence based services. We always seek to ensure that the customer appreciates the digital solutions that we are offering and that it responds to their needs. What technologies are impacting your offering? Numerous technology innovations have an impact on our business and give SGEF the possibility to develop its product offering. For example, the ‘Connectivity of Things’ allows us to monitor consumption of asset use which supports ‘“Pay per Use’ structures. We have digitalized much of our reporting providing internet portals to allow clients and introducers to see their transactions on connected devices. For example, the Vendor Information Portal allows our finance partners to view all their financing contracts on an international level. This digital reporting tool was co-constructed with two vendors with the objective of being available anytime, anywhere and on all devices. SGEF also has active co-operations with Fintechs to bring the latest innovations and technologies into its client offering. In the last year, teams of GEFA BANK based in Wuppertal, Germany have been able to exchange with the Berlin Innovation Lab. 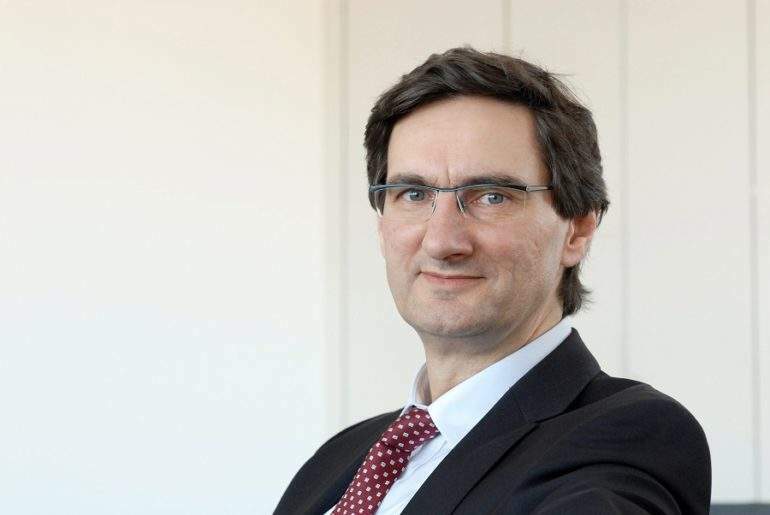 Societe Generale has set up this lab with the aim of accelerating the digital transformation of its entities in Germany. What steps can we take to bring in the best and brightest into the industry and how can the challenges of diversity and gender imbalance be met? As a major player in the European leasing industry, SGEF is continuously looking to bring new talents in. We are a multicultural company with over 36 nationalities with a strong employee culture and a high level of expertise. SGEF has a significant graduate entry programme in several countries such as Germany in which students can follow a dual track programme. In Scandinavia, managers have an open-door policy and 360° evaluations reflect a work culture that is more transparent. This, along with an important Societe Generale specific ‘Life at Work’ programme, translates into high employee commitment. This programme gives access to entertaining events, art lectures as well as activities for the children of employees. In-line with Societe Generale, SGEF also supports gender diversity. Although our population is 44% women and 56% men at the global level, there has recently been an increase of women in top positions which represent 33% of the management committee. We aim to increase the percentage of women in management positions in the future as reflected by our line-up of young potentials which is currently 50% women.